Evolution of 바비 인형 영화. I think Barbie's appearance/character 디자인 is getting severe. 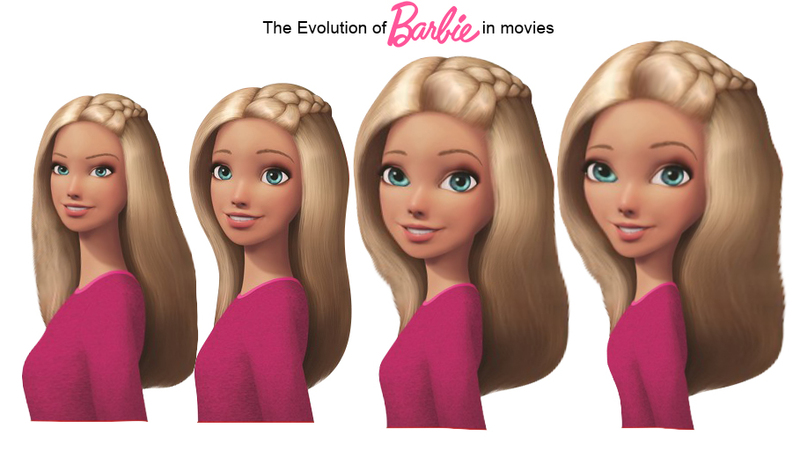 Barbie's features are become 더 많이 and 더 많이 cartoonish. Oh wait she's also transforming into an 아니메 (like in Video game hero). it's really painful to see the changes in the design.. HD Wallpaper and background images in the 바비 영화 club tagged: photo barbie evolution movie barbiemovies. This 바비 영화 fan art might contain 초상화, 얼굴, 근접 촬영, 얼굴 만, 세로, and 헤드샷.